If you knew that expressing gratitude to a colleague would improve their life and yours, would you do it more often? 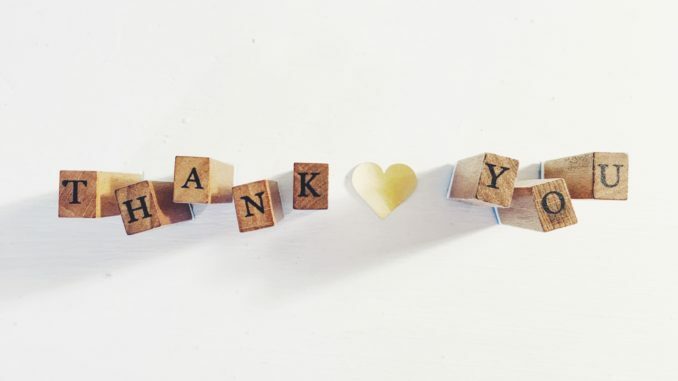 A new study has found that workplace gratitude can improve both physical and mental wellbeing. So, how powerful is being nice? This is an edited version of an article which first appeared on Science Daily. A new study by Portland State University researchers – business professor David Cadiz, psychology professor Cynthia Mohr, and Alicia Starkey, a recent Ph.D. graduate in psychology – together with Clemson State University professor Robert Sinclair – has found a positive relationship between expressed workplace gratitude, physical health and mental health. The study, Gratitude reception and physical health: examining the mediating role of satisfaction with patient care in a sample of acute care nurses, shows that being thanked more often at work predicted better sleep, fewer headaches and healthier eating, because it improved nurses’ work satisfaction. The study involved a group of Oregon nurses – members of a profession that has a particularly high rate of burnout. In the study David Cadiz discusses the findings and how applying the research can have a significant impact on quality of life and job retention by preventing stress-related illnesses and disease. Nurses tend to have a thankless job…When nurses receive gratitude, it boosts them. Many people inherently connect their identity to their job and feelings of appreciation within their roles. Employers who understand, and react to, this can create positive social and economic change. From an organisational, policy and leadership perspective, Cadiz says that employers should create formal or informal opportunities for people to express gratitude. Including gratitude in a business plan is an essential step that many business leaders miss, and this omission can have financial consequences. “Employees who receive positive feedback are healthier, and that can impact the bottom line,” adds Cadiz. “Preventing headaches and other stress-related symptoms means fewer sick days and, in this case, cuts down the cost of replacement nurses and overtime pay.” These small changes can have a dramatic fiscal impact over time, which can result in more staff, better pay rates and increased benefits. The big takeaway from the report is something very simple: express gratitude when you see someone doing a good job. A positive feedback loop impacts you and those around you and can, ultimately, shape a healthier and happier community.